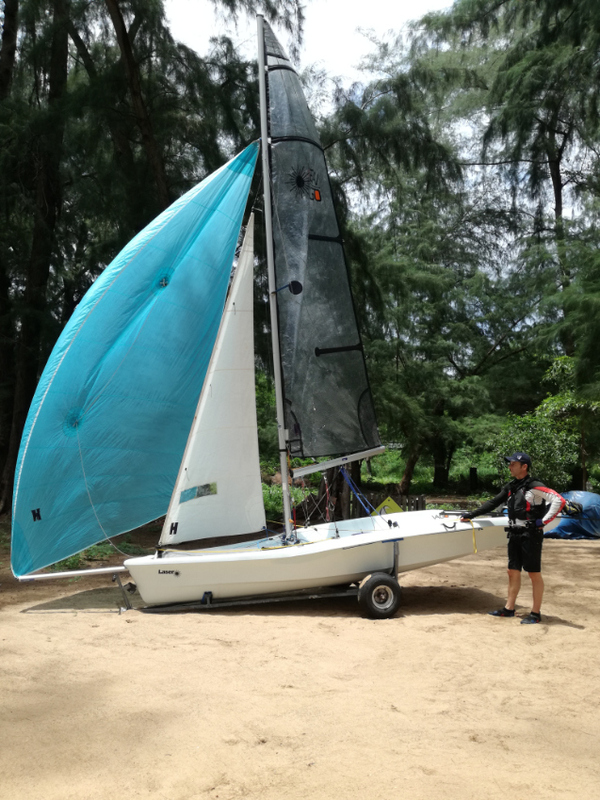 Nacra 5.2 painstakingly rebuilt with many new parts , new trampoline, sails ,hardware ,rigging etc and immaculate condition ready to sail . Boat has fully battened main (special battens) and battened jib , loose footed boom . Purpose made trailer included . 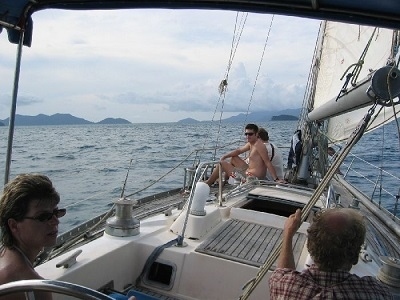 Here is easy sailing dreams that satisfy you and your family. 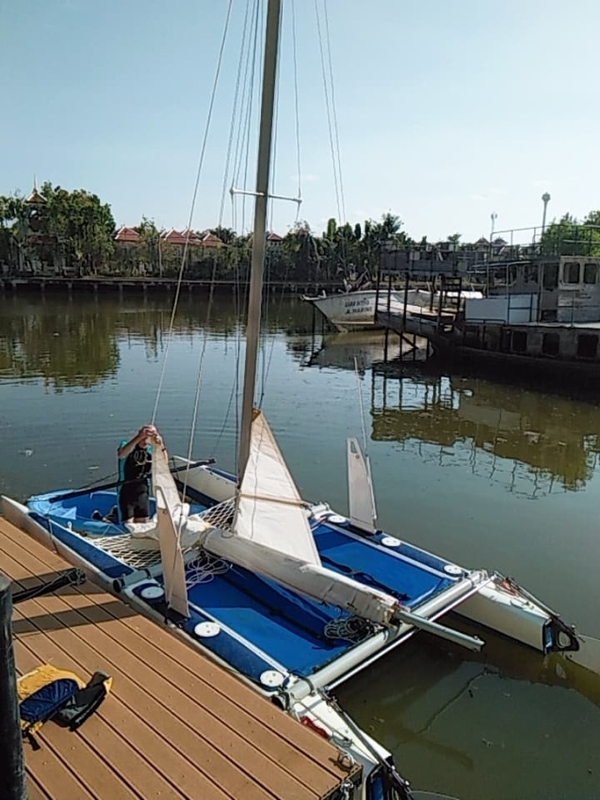 She's came from Australia 1997 Custom with high quality materials Marine wood and Using Vinel ester Resin and Fiber Glasses for Hulls New Gelcoat all over 6 month ago. 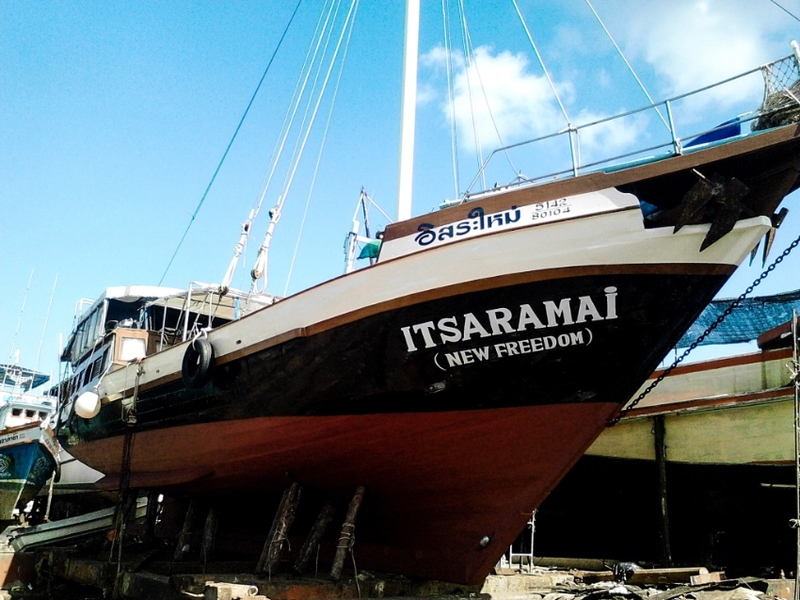 Using Yanmar Marine Engine 35HP × 2 Thai Registered and Thai Licenses which is all ready for Charter and for yourself at the same time. Go ahead to your dreams with correct budgets. 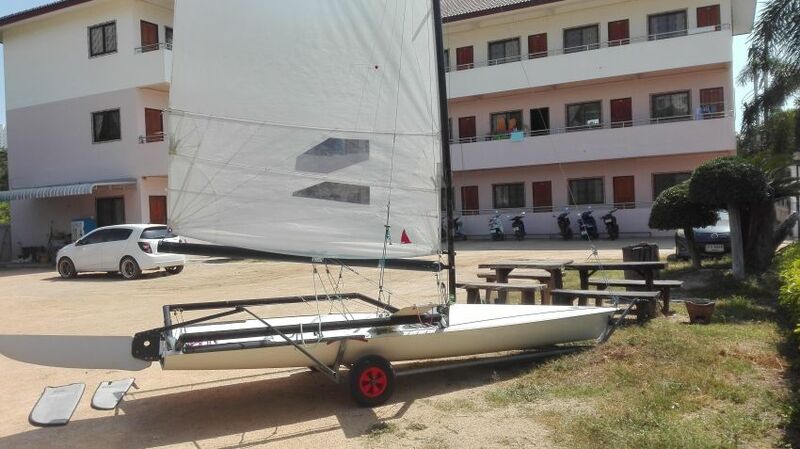 Hobie Tiger F18 for sale - exciting boat to sail, double trapeze and A symmetric spinnaker system. Year assumed to be 2003 (but might be a year or two out). I have had it since 2005. For sale due to lack of use (kids don't like sailing). No trolley or trailer because only ever used at Royal Varuna. Can be seen at Royal Varuna. Just reduced to an asking price of 89,999 Euro. This Steven Jones designed cruiser / racer was originally built for the 1979 Admirals Cup, but perhaps fortunately not completed in time. 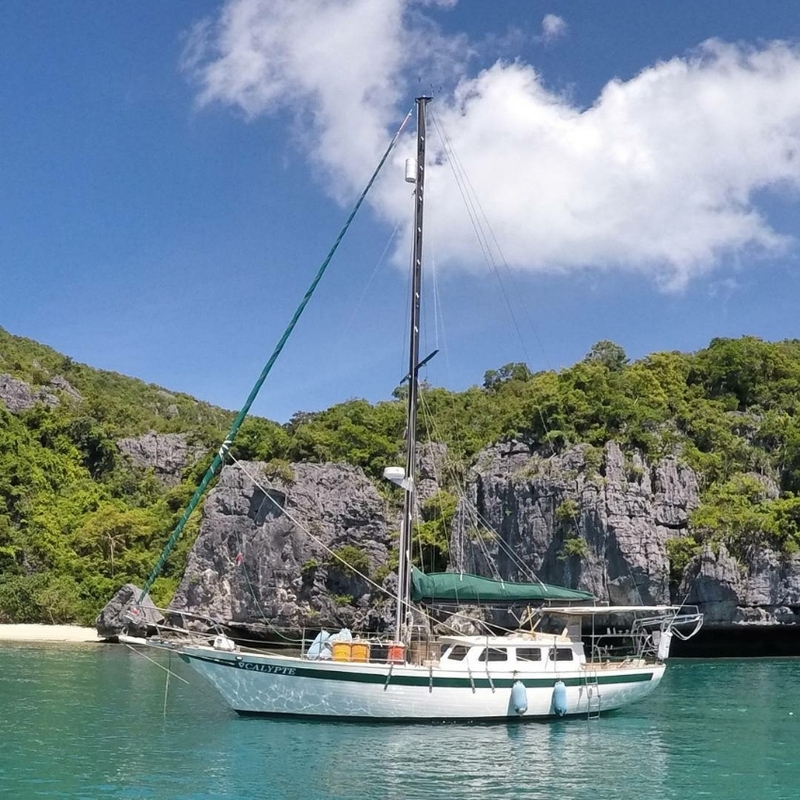 Her previous owner 1988 - 2001 sailed the oceans of the world, from Canada to Mexico, Hawaii, Micronesia, Marshall Islands and the Philippines to name but a few and cruised extensively in south east Asia. 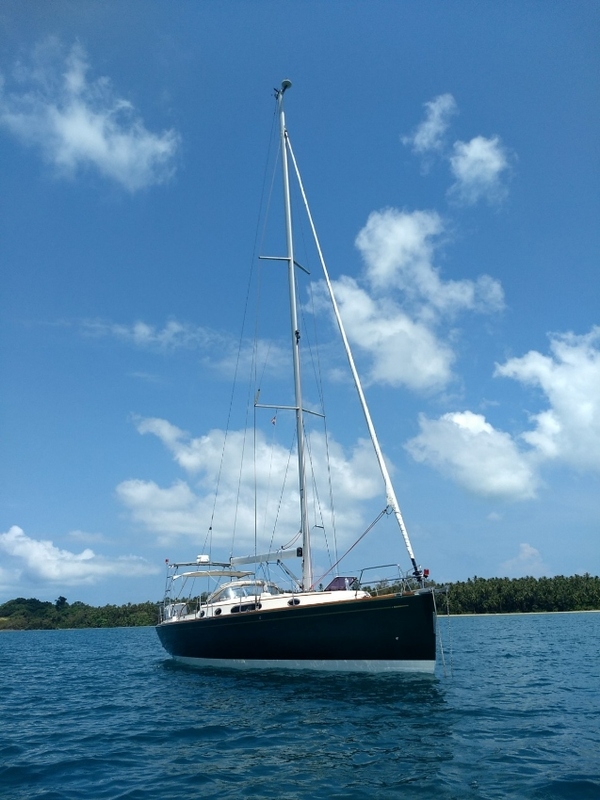 Sold to her current owner in 2011 she has undergone a 7 year refit, just about everything has been refurbished, reinforced, or replaced ( we have pictures ) but as often happens, plans have changed and she is offered for sale at substantially less than the refit cost ! 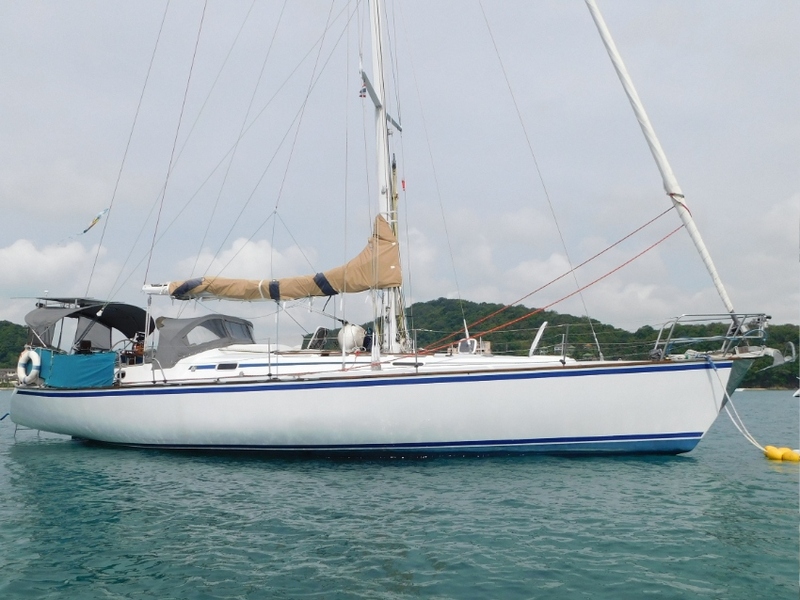 The spacious, light and airy interior has plenty of storage and accommodation for 10 in three generous doubles and 4 single berths ( 2 saloon & 2 Pilot berths ) In great condition, she has potential for racing, instructing, team building, adventure sailing or just carry on cruising fast. 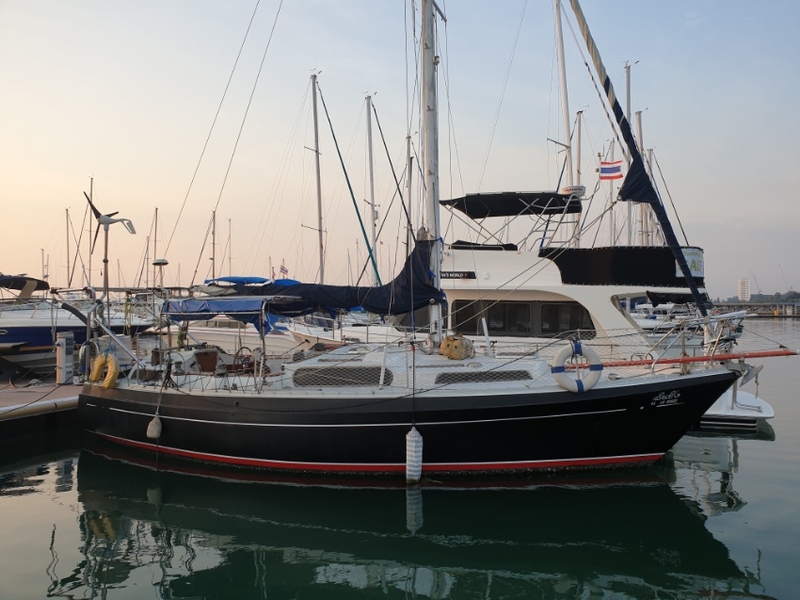 For more information on this and other great yachts for sale in Phuket, Thailand & Langkawi, please contact the Boatshedphuket.com Asia yacht sales team. German Flagged. 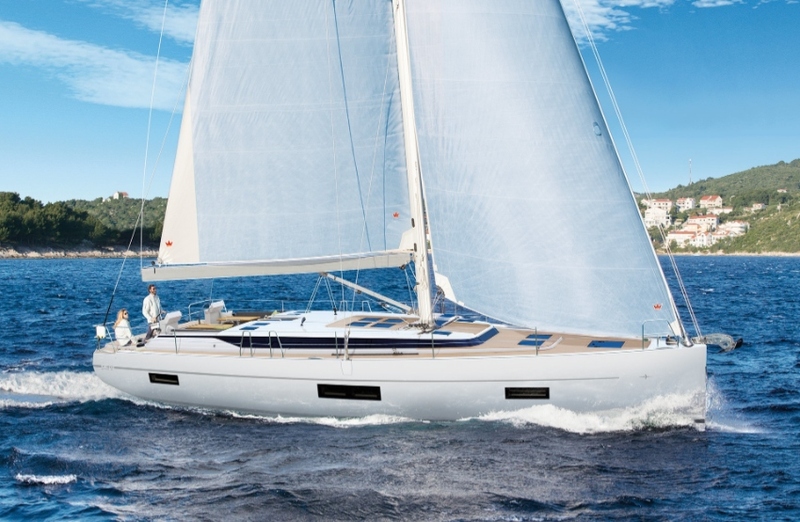 Brand new Bavaria C50 luxury sailing yacht available now for delivery. 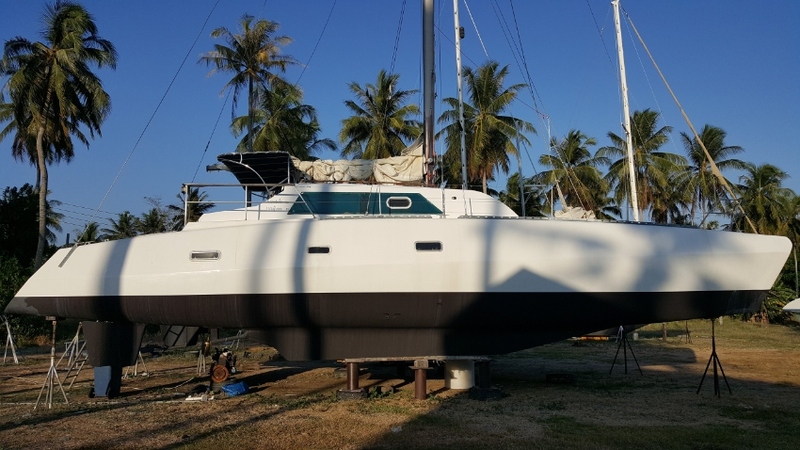 Here is a perfect opportunity to immediately take delivery of a brand new Bavaria C50 luxury sailing yacht to your destination in Asia. Equipped with all the modern conveniences and navigational equipment, this spectacular yacht is ready to sail to your paradise destination. Contact us now for full details and get ready to Sail your Dream ! Beautifull traditionnal wooden yacht perfect for day tour up to 20 passengers or overnight cruise up to 12 people. Sun Odyssey 35 , 2003 . 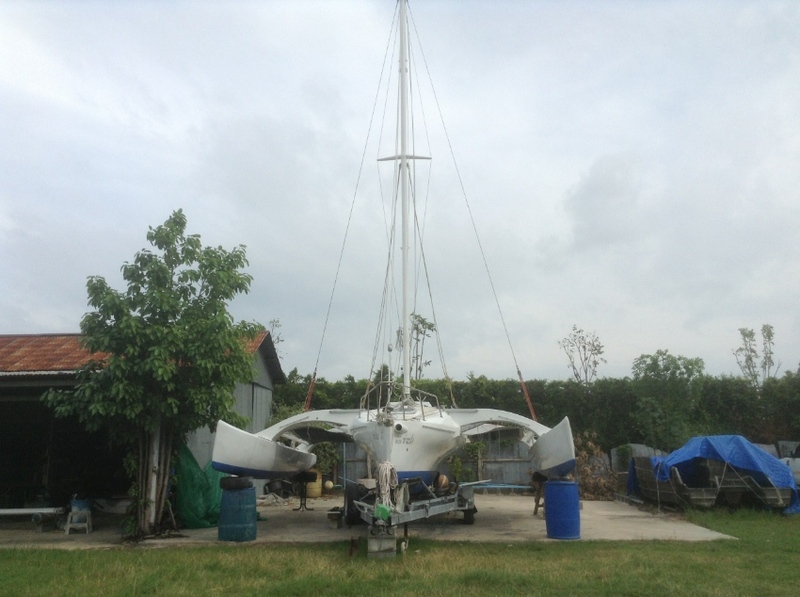 Beautiful 65' Phinisi Indonesian sloop for sale. Built in 1999 in Sulawesie. Totally refitted, in top condition. 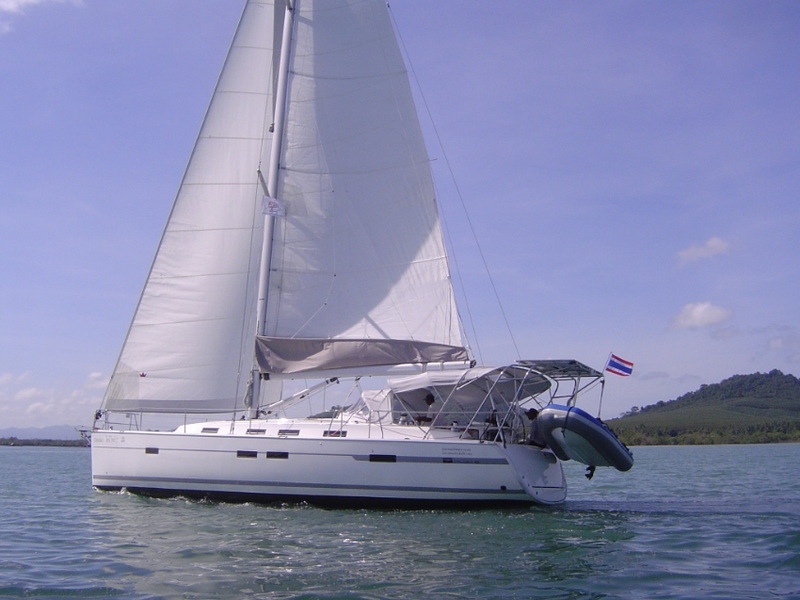 Perfect luxury day charter yacht when incorporated in a Thai company. Very sucessful and much appreciated. 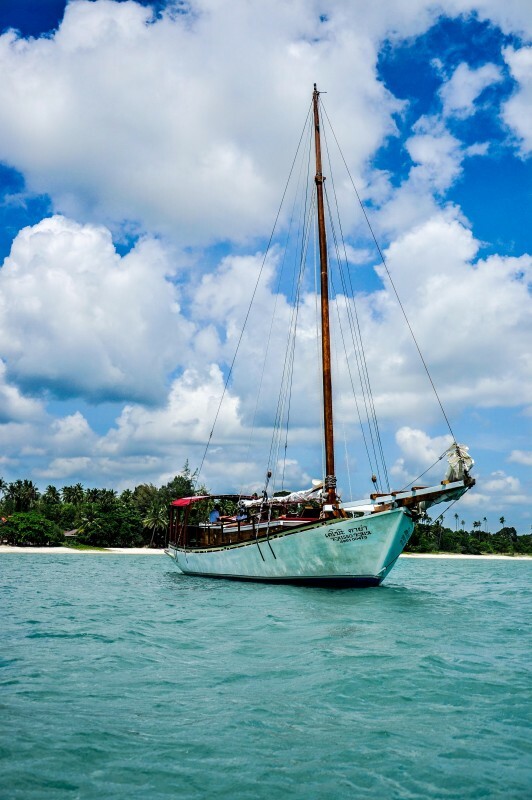 Ideal for an affordable liveaboard traditional teak wooden sailing yacht in top condition. 100% ready and fully licenced for private or professional use. All equipment new, incl. table service, towels, snorkeling, crew uniforms, printed Tee shirts, sunbed area, sofas, etc... Brochure edited and printed. Fully insured until May 2019. No similar product on the market. Very much admired classic yacht. Low running costs and easy maintenance. Unique yacht with a class of her own. Price reduced. More info upon request. 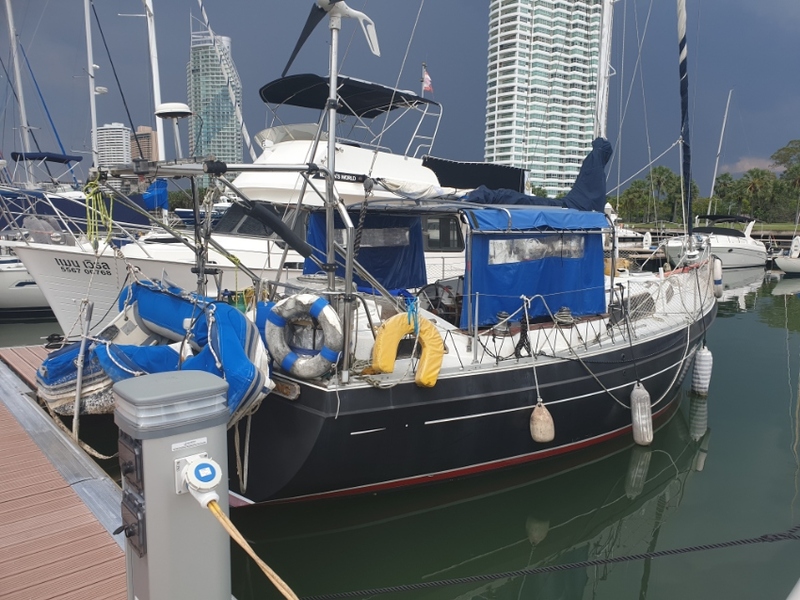 This beautiful Bavaria 45 Cruiser launched in 2011 and designed in conjunction with Farr Yacht Design and BMW Designworks USA, is a treat for yourself and your crew. The modern hull design offers maximum room volume and the twin rudder system offers great performance. The bathing platform spans nearly over the total beam and transforms into a helmsman seat when closed. Very large and sociable cockpit, flush hatches, huge interior volume with 2.06m headroom in saloon. She comes with a four double cabin layout: the two aft doubles offer ensuite shower/toilets while the two forward doubles share one separate toilet with basin on starboard side and separate shower room on port side. The yacht comes with all the high end features of Elite Yachting’s fleet, including, RIB dinghy on davits with 5 HP outboard engine, fully battened mainsail, lazy bag, autopilot, wind instruments, GPS plotter at the helm, 230V inverter, solar panels to keep the fridges running all day while sailing, huge bimini covering the area from the helmsman seat to the companionway, dodger and more. 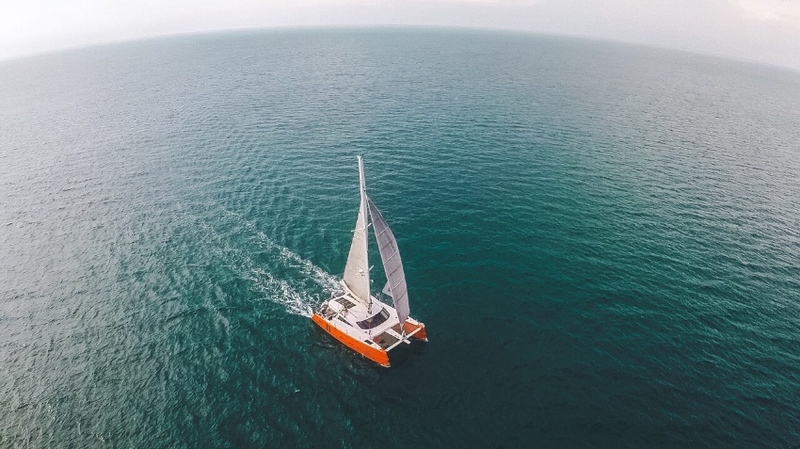 Available now with a charter contract to May 2010 and beyond to give you not only a beautiful yacht to sail, but an Income and maintenance program from Phuket's leading Charter company. A must to see !! 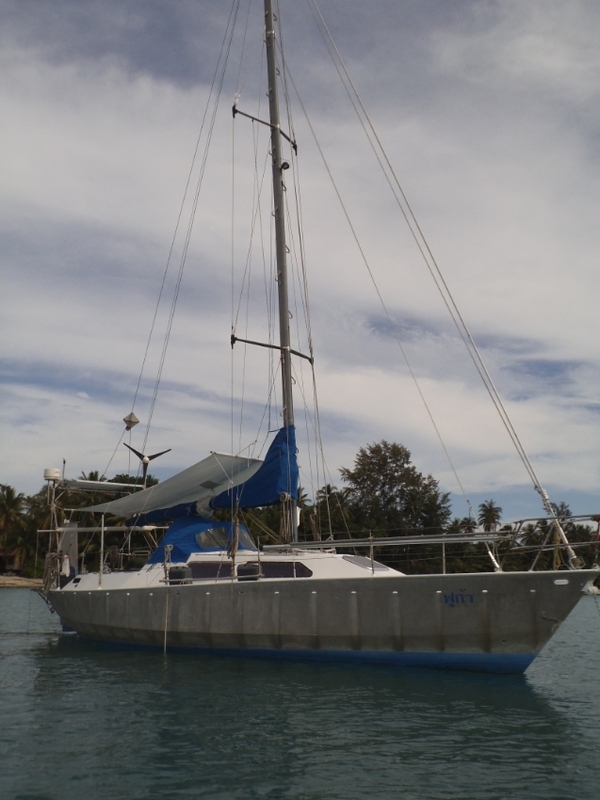 email us now for more information or an inspection appointment .... and Sail your Dream !! 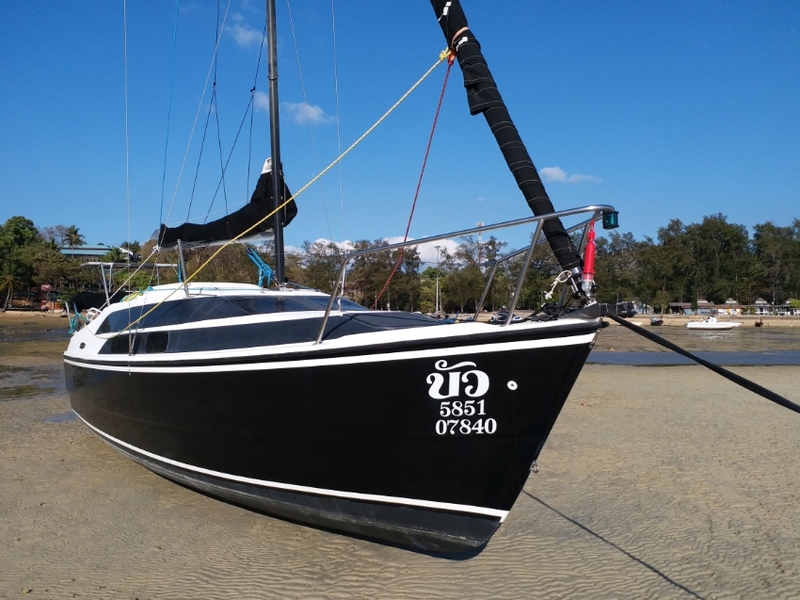 This Peter Ibold designed Endurance 35 blue water Cutter Rigged Sloop is ready to take on the oceans again or simply live onboard and enjoy ! She was built in Vancouver in BC by De Kleer in 1982 to high quality standards. 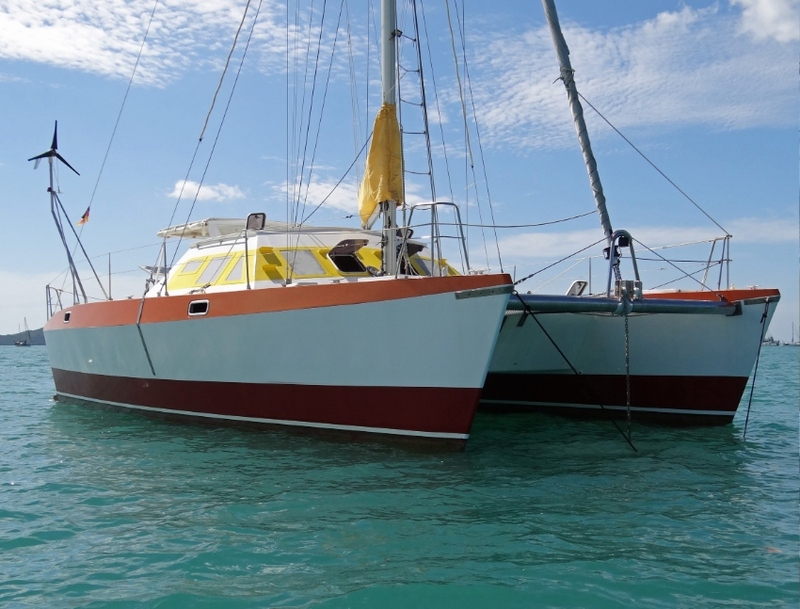 Her full keel and cutter rig makes her a predictable and reliable passage maker in both comfort and safety. Calypte has undergone a major refit over the last 5 years. 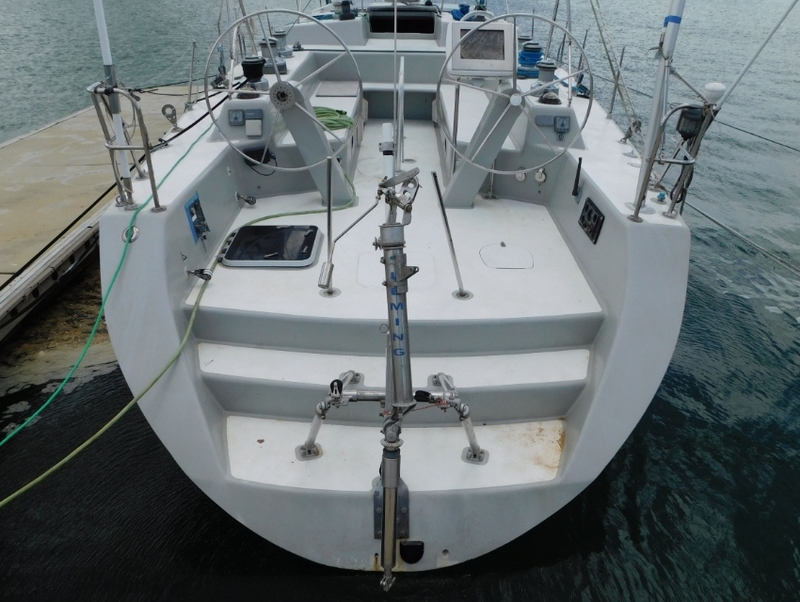 She features re-built interior, new water bladders,new floor, new Yanmar 54 HP inboard, autopilot, VHF radio, Chart plotter, water maker, Watchmate, AIS, JRC Radar , good refrigeration, all new batteries, new cabling, Life Raft packed 2014, new BBQ, 2015 2.6meter Rib and new 5 hp yamaha outboard and a total AWLGRIP respray. The list just goes on.... She has to be seen to be believed and is available for inspection with appointment. 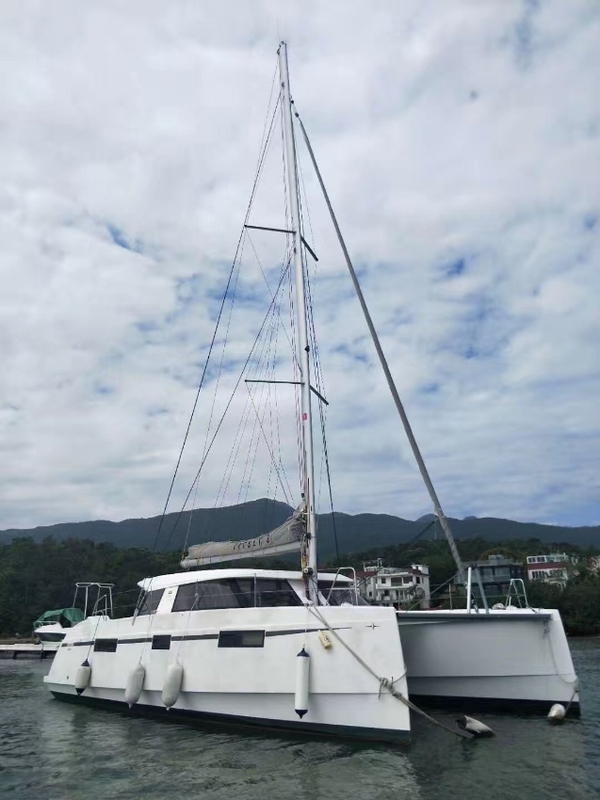 This Nautitech open 40 Catamaran has been delivered and sitting in stock in Hong Kong. It has never been used and is Ideal for a private boat, or earn money with it in one of our charter fleets. 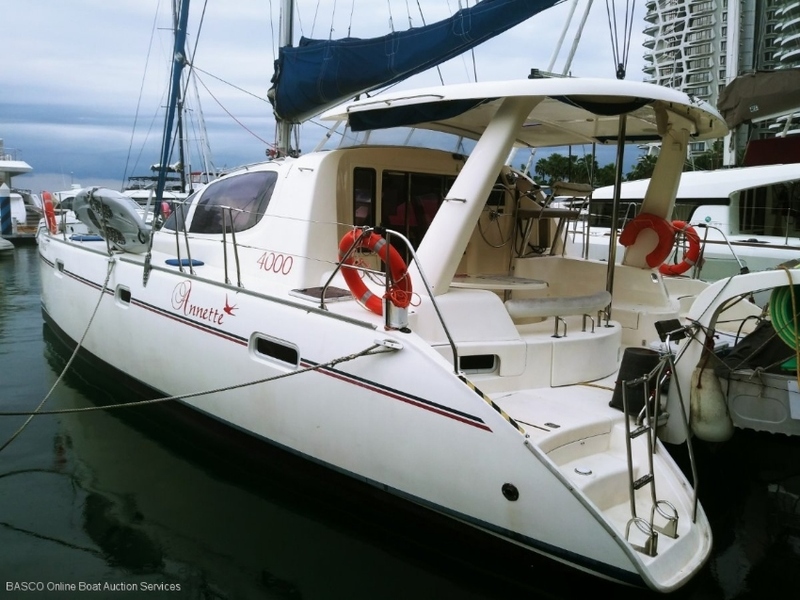 Now is a great opportunity to own an excellent sailing boat built to the highest standards from the world famous Nautitech factory. 4 cabin version with 2 additional single berths up forward makes this an ideal comfortable air conditioned cruiser. Contact us now for full details and Sail the Dream ! The Moody 41 Classic represents a blend between modern design and engineering and classic styling.The huge ergonomic cockpit with good lumbar support ensures your guests comfort. Two large lazarette lockers will easily accommodate everything you need to cruise in style. 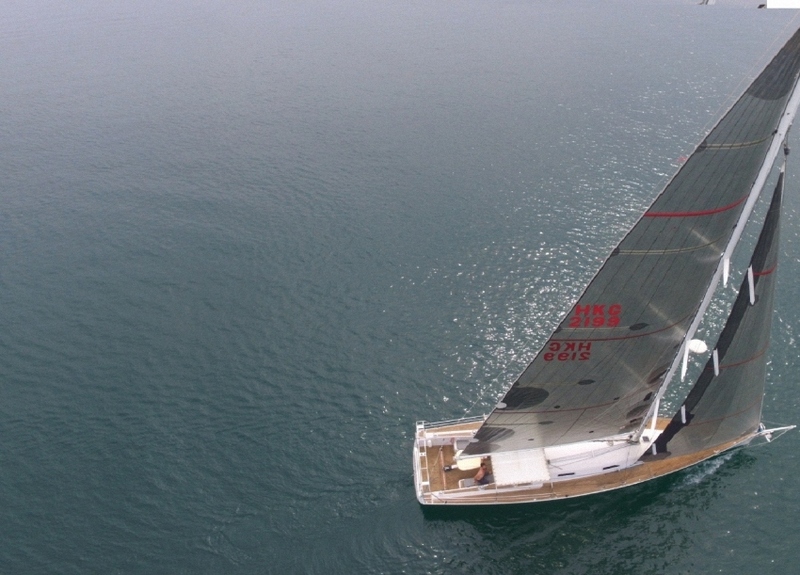 With a very light helm the Moody 41 Classic is a pleasure to sail. The interior offers spacious living accommodation in a warm and classic style. 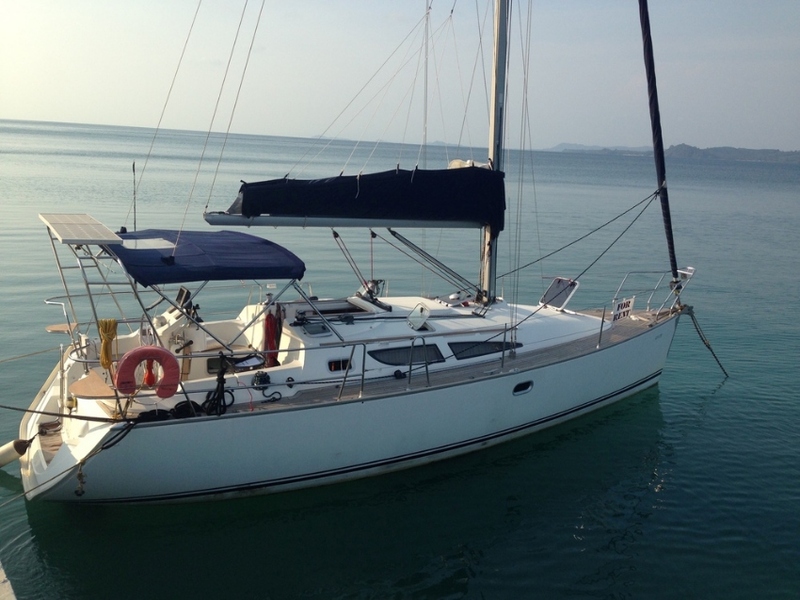 Moody yachts are not easy to find in Asia and this one is a fine example of a well built boat. 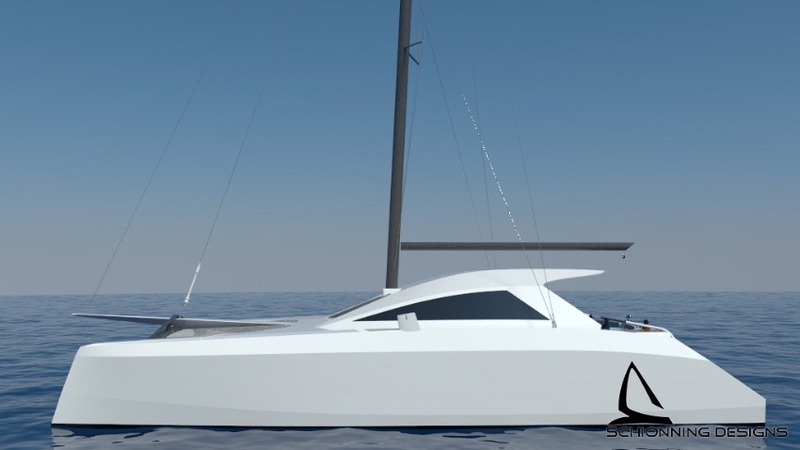 Fast sailing Yacht with carbon mast and boom. Solid blue water cruiser. Refurbished in 2010 All made new. Interior and exterior. 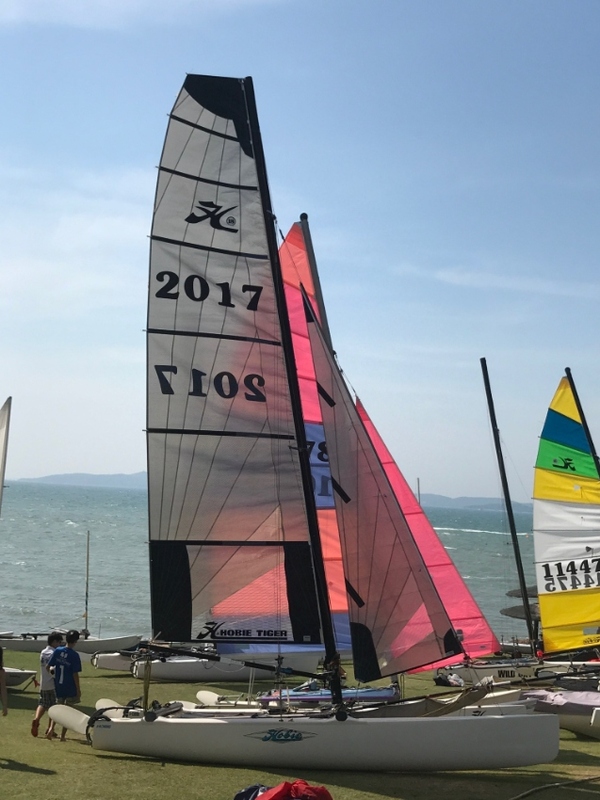 New carbon sails, 3 kites and storm sails. Winner of Osaka cup and others. Wind speed and more. Cruises at 8 knots and can reach 20. New B&G zeus plotter. Modern open back design. Hand made one off design by famous designer Jon Sayer. 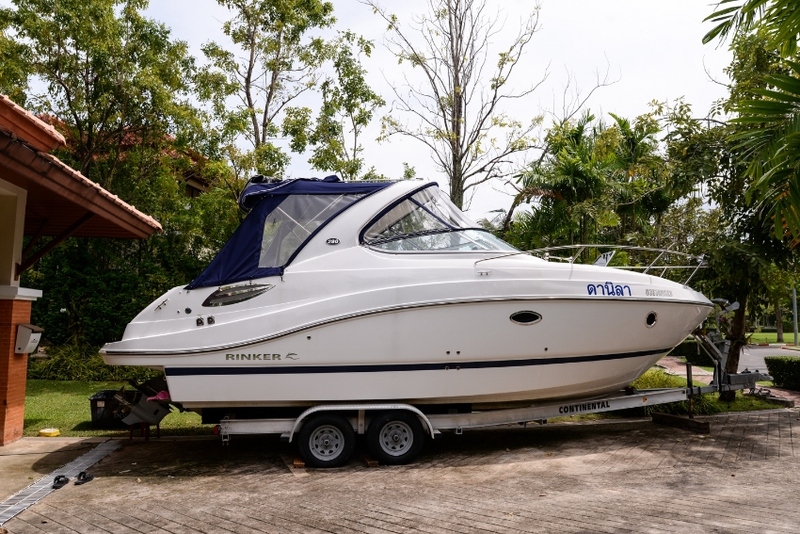 Boat for sale Rinker 290. 2015 year of issue (USA) under warranty. With the trailer Continental USA 2017. Engine is Volvo Penta 380 V8. The engine 100 operating hours. Come to Thailand from the United States at the end of 2017. 2 beds for 4 people. Toilet, shower, TV, music 1000V with three posts, 5 kV generator operating 80 hours. The kitchen includes an electric stove, microwave and refrigerator. On the deck there is an additional shower, bbq and sink. Raymarine Navigation. Anchor winch. Shore power 220V through transformer. Power on the boat 110V, the transformer is installed. 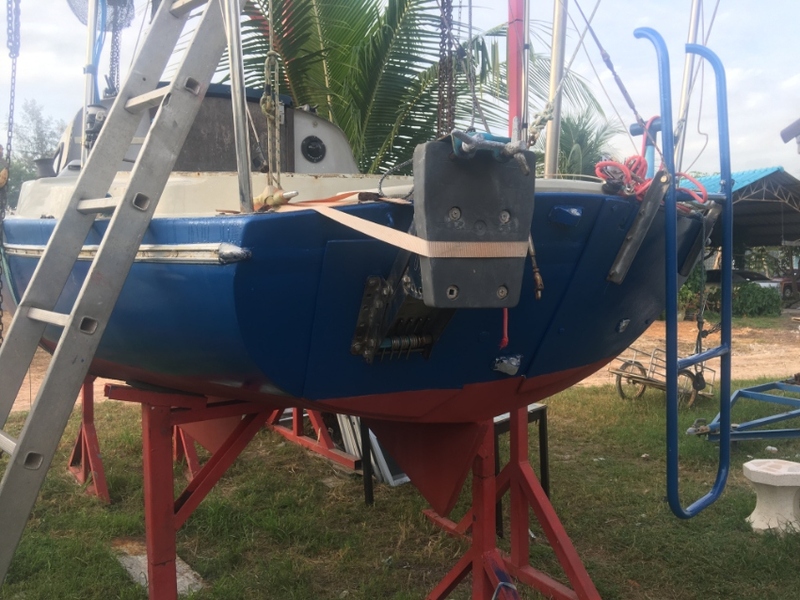 All equipment is assembled and new: mooring and rescue. The boat is serviced, replaced filter, oil, liquid. State of new. Standing in Lagoon.